Specially designed for powerful and recent cars, powered by large displacement engine, turbo Diesel, direct injection, or gasoline engines with injection and catalytic converter. Suitable for all types of gasoline or Diesel engines, using leaded or unleaded gasoline, Diesel fuel, and LPG. 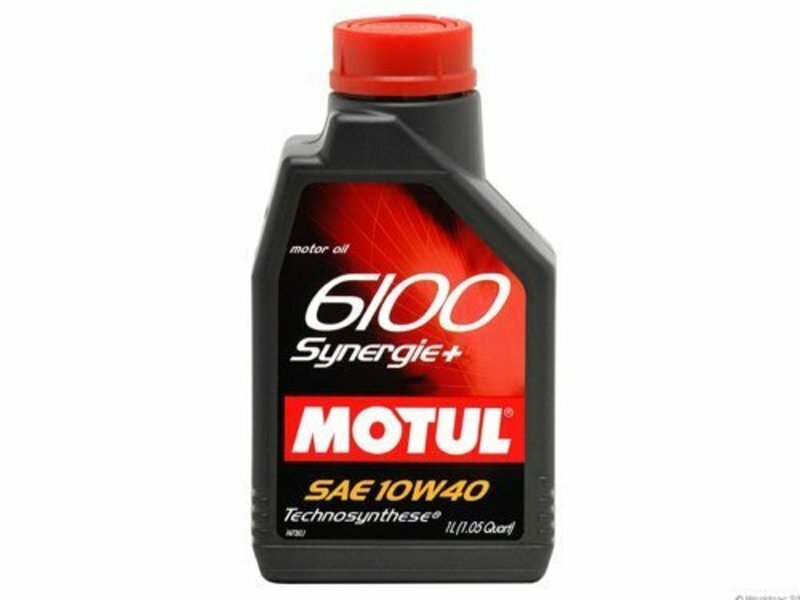 Worldwide innovation : Motul 6100 Synergie+ 10W-40 is the first lubricant in the world Mb 229.3 approved with 10W-40 viscosity grade. 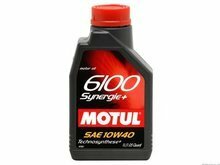 SAE 10W-40 viscosity grade is fully suitable for recent gasoline and Diesel engines. The reinforced synthetic base stock provides very high lubricating power which reduces frictions decreases the volatility and ensures resistance to very high temperatures reached in modern engines. Anti-oxidation, Anti-wear, Anti-corrosion, Anti-foam properties. Drain interval : According to manufacturers’ recommendations and tune to your own use. Can be mixed with synthetic or mineral oils. Mazda and Track Dog recommends replacing the synthetic blend oil every 3k-5k miles on a street driven Miata with occasional track use. If the car sees regular track use, we recommend replacing them after each track day.